FOCUS: STEWARDS OF THE EARTH At this urgent time of climate change, indigenous people around the globe hold untapped wisdom and experience in human adaptation for survival. Will international leaders heed our native brothers and sisters and learn how to live sustainably before it’s too late? In this episode of the Global Spirit series, Emmy-winning local filmmaker Stephen Olsson focuses on indigenous leaders and tribal representatives who come together at the UN Permanent Forum on Indigenous Issues. Living in reciprocity with nature, they know how to spiritually and materially restore harmony and balance after destruction of land and water. 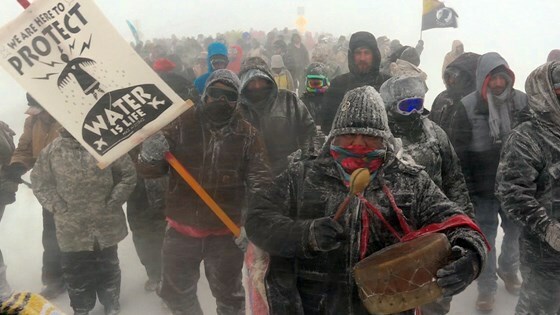 Indigenous wisdom keepers and non-native allies gathered as the prophesied Rainbow Tribe to nonviolently protect the water at Standing Rock Sioux Reservation where they slowed progress of the Dakota Access Pipe Line, the foretold Black Snake. Here, and at the UN, they are the voice of the earth. Time to listen. October 7 screening will be preceded by THE NEW ENVIRONMENTALISTS: FROM GUATEMALA TO THE CONGO. October 13 screening will be preceded by FINGERPRINTS. 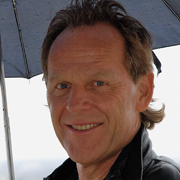 Stephen Olsson’s documentary work has focused on war, race relations, global development, indigenous peoples, immigration, mystical Islam, identity politics, human consciousness, and the environment. He has received the National Emmy, du-Pont Columbia, and Peabody awards. His films have screened at Sundance, Tribeca, IDFA, Mill Valley, Dubai, and other festivals, and have aired on the BBC, PBS (POV; Frontline; Nova), Arte, Canal+, National Geo Explorer, TV Asahi, TV Globo, and others. Stephen holds graduate degrees in anthropology and communications, and was a co-founder of the national satellite channel, Link TV, where he served for nine years as VP of Original Programming.